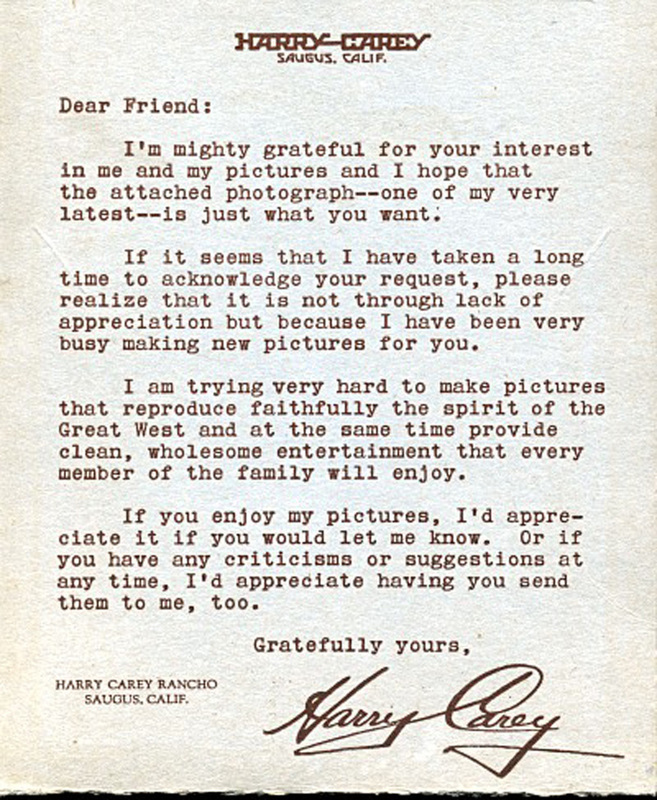 Form letter to fans who requested a photo of actor Harry Cary. They received a card containing a letter and photos from the Harry Carey Trading Post in San Francisquito Canyon, printed and pasted onto a single piece of gray, die-cut cardboard measuring 5 inches by 16 inches. The piece is meant to be folded in such a way that it stands. Manufactured by The Exploitation Company Inc. of Hollywood, Calif. Postage was 1½ cents. It dates to the 1920s, and because it advertises the Trading Post, it predates the March 1928 St. Francis Dam Disaster, which destroyed it. 1) Letter to fans, printed on the inside of the card. 2) Classic image of Harry Carey. 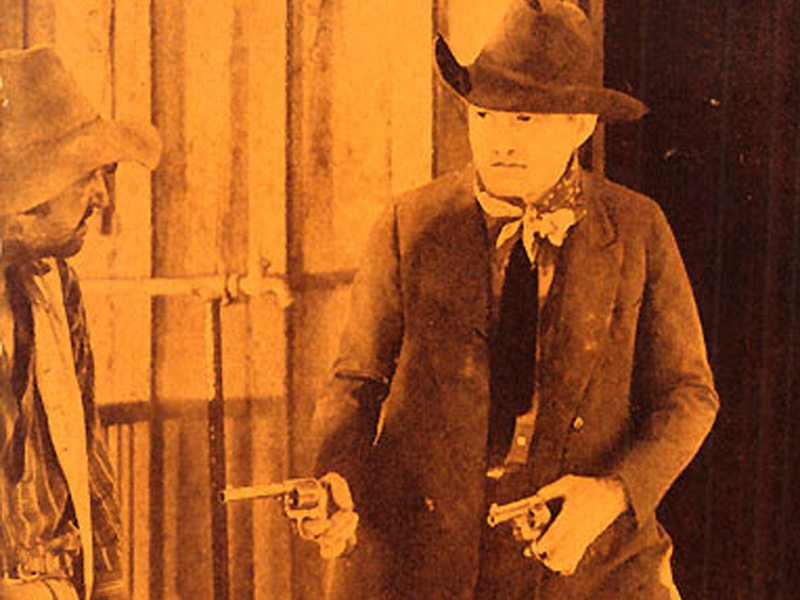 Unlike the photos of the Trading Post in Image 3, this photograph is pasted onto the inside of the card. 3) Printed photos of "Scenes Around Harry Carey's Trading Post On His Ranch in Beautiful San Francisquito Canyon, Saugus, Calif." Top photo shows the exterior of the Trading Post; bottom two photos show the Navajo rug room. LW2088a: 9600 dpi jpeg from original card.